Here at Barber of Sheffield, we understand that it can frustrating trying to find quality products from a company you can rely on. This is even more difficult if you need an exact specification or unusual item. 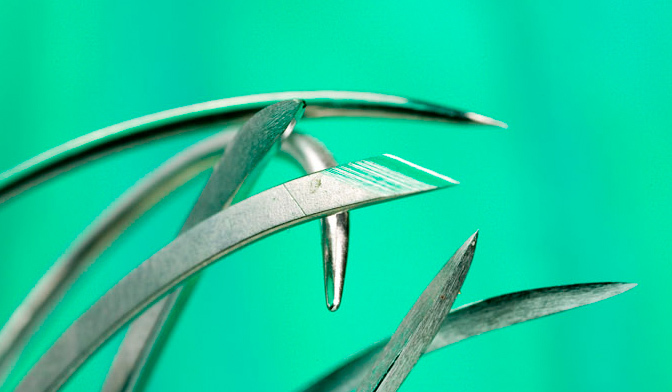 We provide high quality needles for industrial, medical and veterinary applications. We pride ourselves on offering a varied range of high quality needles. All our products are manufactured to exceed national and international standards, while still offering our customers competitive prices. Alongside our standard ranges of needle products, we also offer a bespoke needle production service. This means that we can cater for your individual requirements and create the perfect product for you. We deal with both large and small quantities so there is no need to order excessive amounts of product that you do not need. Please don’t hesitate to get in touch with our helpful team here and they will be happy to offer advice on our bespoke product services. These needle products are made to the highest quality standards and you are sure to be pleased with the great combination of excellent service and premium products that Barber offer to our customers.